On the 22nd of February, 1943, Sophie Scholl, her older brother Hans Scholl and Christoph Probst were all executed - by guillotine - for treason. 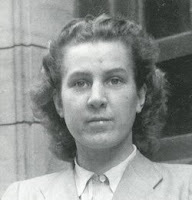 Their crime, under the Nazis, was distributing anti-war leaflets for the White Rose Resistance Group. Within a period of just four days, they were arrested, tried and martyrd. "Somebody, after all, had to make a start. What we wrote and said is also believed by many others. They just don't dare express themselves as we did. "How can we expect fate to let a righteous cause prevail when there is hardly anyone who will give himself up undividedly to a righteous cause? "Stand up for what you believe in ... even if you are standing alone." "Of course, the terrible things I heard from the Nuremberg Trials, about the six million Jews and the people from other races who were killed, were facts that shocked me deeply. "But I wasn't able to see the connection with my own past. I was satisfied that I wasn't personally to blame and that I hadn't known about those things. I wasn't aware of the extent. 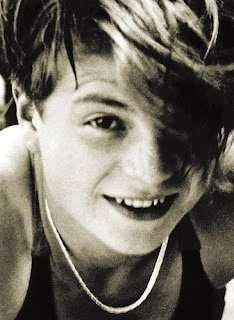 "But one day I went past the memorial plaque which had been put up for Sophie Scholl in Franz Josef Strasse, and I saw that she was born the same year as me, and she was executed the same year I started working for Hitler. "And at that moment I actually sensed that it was no excuse to be young, and that it would have been possible to find things out." Sophie is still totally relevant to Modern Activism. @zenpencils created this beautiful, heart breaking art, to go with reportedly her words (although disputed). It will spur you to action. To this day she and the White Rose Resistance Group are celebrated across Germany, although little known outside. But she has pride of place in our office here, where her image stares down at us. Between Rosa Parks and Martin Luther King.